Synchrony Financial (NYSE:SYF) a premier consumer financial services company with 80 years of retail heritage, celebrated the “Incredible India Family Day” in Hyderabad as a part of its global Engagement & Inclusion Counsel initiative. The tradition of Family Day at Synchrony started in the year 2000, and the business has been following this tradition ever since. The event, which was filled with elements of Fun, Fusion and Fiesta, was attended by over 5,000 people, including the staff, stakeholders and families of employees of Synchrony Financial. 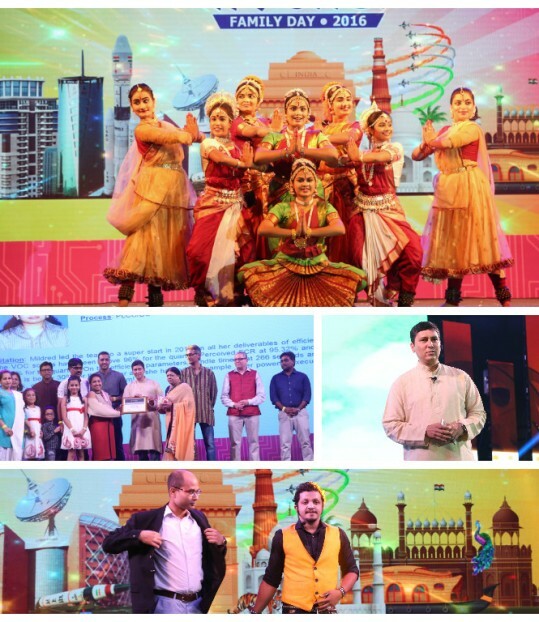 The Incredible India Family Day was designed with an objective to improve the engagement with the employees and their families and give them a preview of life at Synchrony. The employees and their families were dressed in Indian fusion wear and were seen engrossed in plethora of activities planned for the evening. The audience enjoyed the performances of Indian Fusion Dance by Manjula Ramaswamy Group (India’s Got Talent fame), and a dance performance by in-house stars at Synchrony. The euphoria reached the zenith of excitement when DJ Shikar started rolling out the Fusion music with the audience cheering, dancing and having a great time. Amazing David, India’s leading illusionist, left the people spellbound with his acts of mystic and mental intelligence.